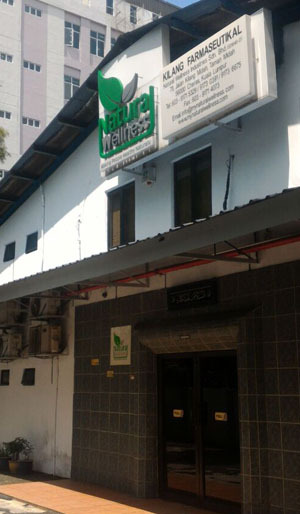 Natural Wellness, also known as Natural Wellness Holdings Sdn Bhd, is the mother company to the Natural Wellness group of companies that are involved in the healthcare business namely Natural Wellness Industries Sdn Bhd, Natural Wellness Biotech Sdn Bhd and NW Pharmaceuticals Sdn Bhd. A relatively young company that started as a trading entity, Natural Wellness has moved downstream with its own manufacturing facility in 2004. The company then went from marketing and selling further down the value chain into discovering and developing innovative products for the healthcare industry. Natural Wellness today has expanded from its humble beginnings in natural products to being a respected multi segmented player in the healthcare market. Natural Wellness has offices in Australia, Egypt and in the Kingdom of Saudi Arabia and their products is exported across the world including Australia, Japan, China, Hong Kong, Indonesia, Thailand, Singapore and the Middle East. We want to serve as an example to Moslems across the globe that it is possible to go back to basics in business as ordained by the almighty and yet succeed in today's business world. Insya Allah. To strengthen our place in the market, we are participating to obtain numerous awards whether it is from Malaysia or International. To gain trust from our clients, we are pursuing to achieve the quality standard that met with the GMP practices and other SIRIM's requirement.